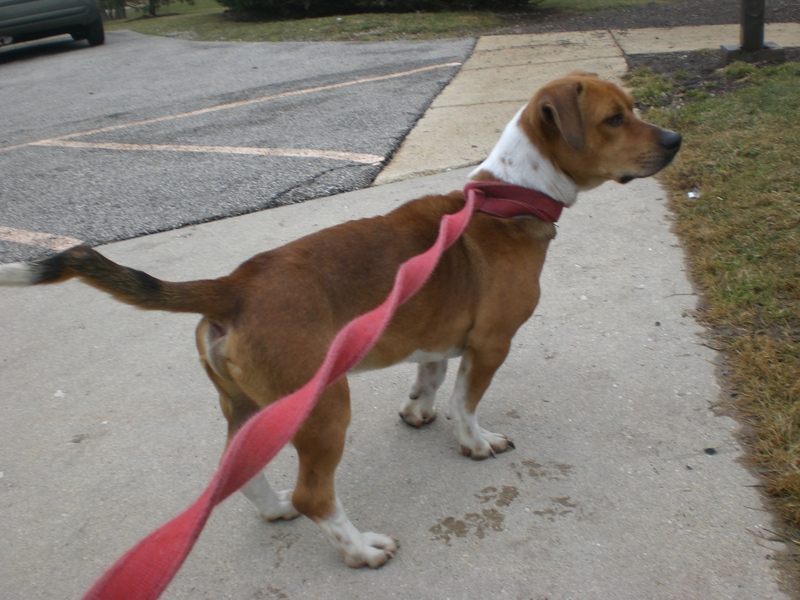 Opie the two-year-old Hound mix is a big sweetheart. He was looking a little sad when I first walked by his kennel, but as soon as he realized he was going for a walk, that tail was up and wagging. He’s excited to find a new walking buddy (of the two-legged or four-legged variety–he was sharing his kennel with another dog who has already been adopted) to go on adventures with. Opie also loves attention. He’ll trot right over to you and appreciate all the petting you can give him. Those floppy Hound ears are especially irresistible. 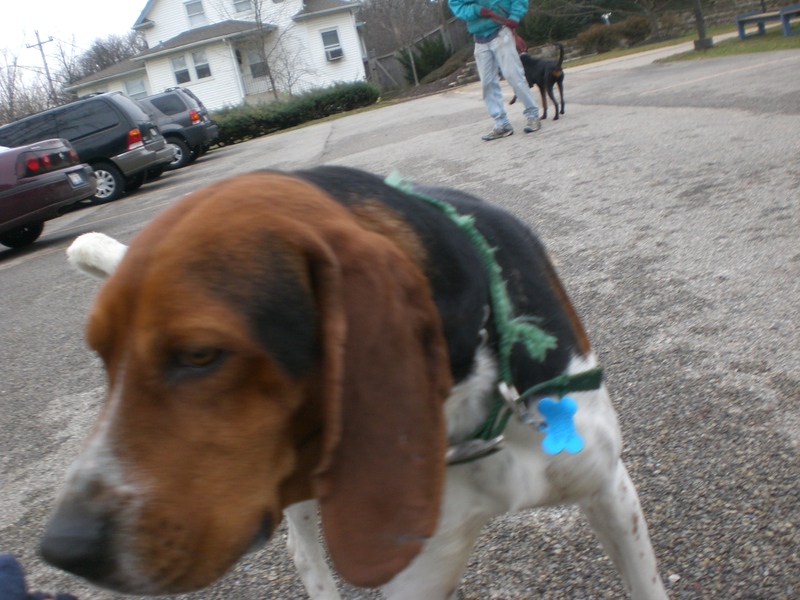 Opie has that wonderful sweet expression that you see on Beagles and other Hound dogs. It’s hard not to fall in love with that face immediately. Stop by and say hi to Opie! 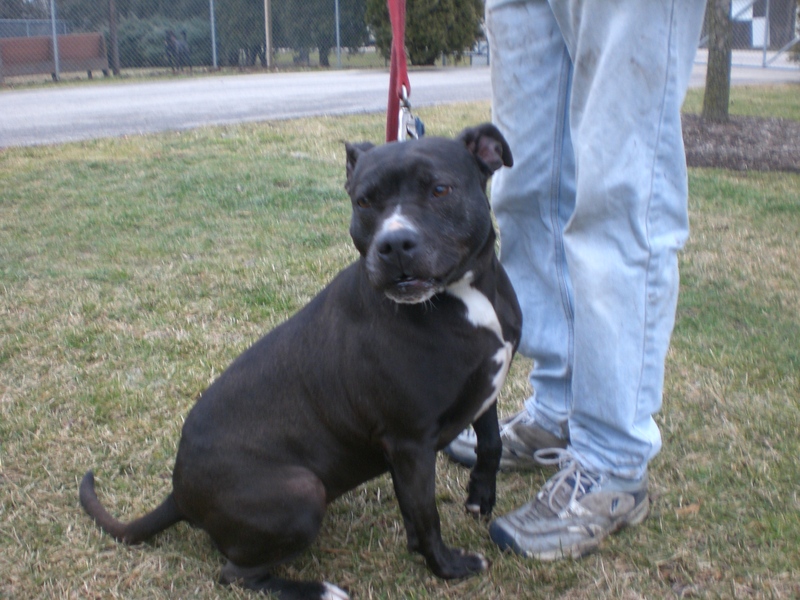 Ella the four-year-old Pit Bull Terrier mix is one long-timer who sometimes gets to go to off-site adoption events. I’ve heard other volunteers talk about her several times, and they love her. She is energetic and strong, two traits commonly found in her breed, but she settles down once she’s gotten the chance to stretch her legs and play. Ella knows how to “sit” on command! 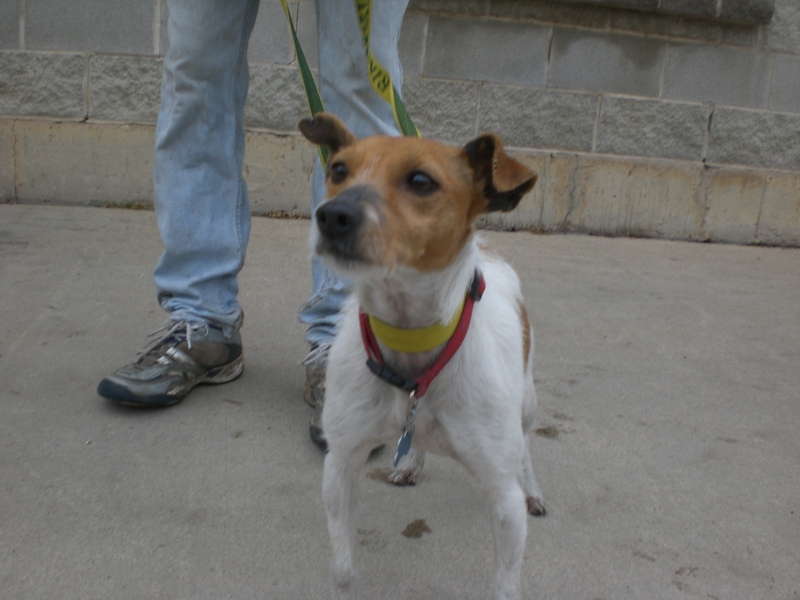 Ella is dog-friendly and enjoys being with people. She will make a game out of anything–including her leash (so she could probably use some leash training). She likes to keep an eye on everything going on around her, and will often just take a seat and observe. Ella currently resides in the first kennel in the big wing, and she loves being able to look through the window in the door and see what’s happening out in the hallway. I always wave when I see her looking. If you’re looking for a playful new friend, check out Ella! 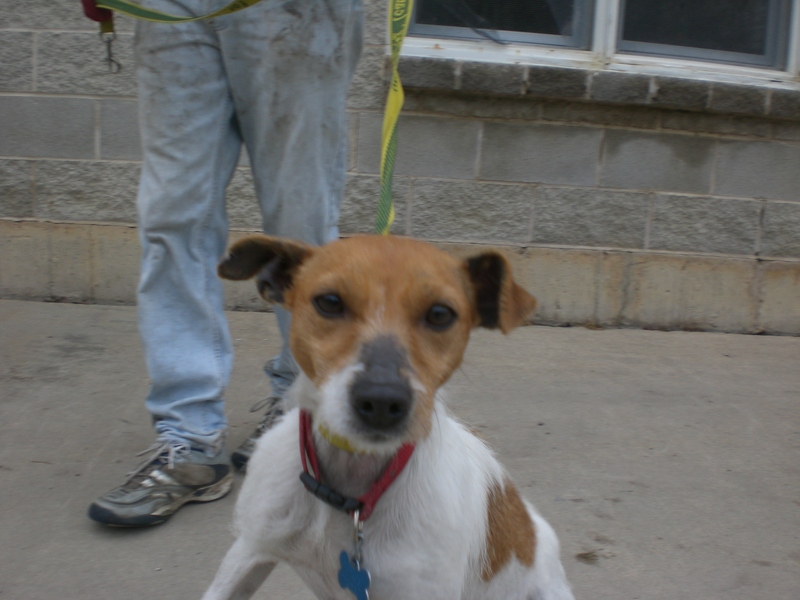 Rita the three-year-old Parson Russell Terrier mix just wants to love and be loved in return. This little girl will eagerly climb into your lap and kiss your nose whenever she’s given the opportunity. She was far more interested in snuggling than taking a walk when I was out with her. Rita does well with other dogs, whether it’s her smaller kennelmate (see below) or a big Pit Bull like Domino (who we said hello to on our walk). That little face of hers is just too cute! You’ll want to scoop her right up and bring her home with you–I know I wanted to. Rita is ready for her new cuddle buddy. Could it be you? Rita is such a cutie! 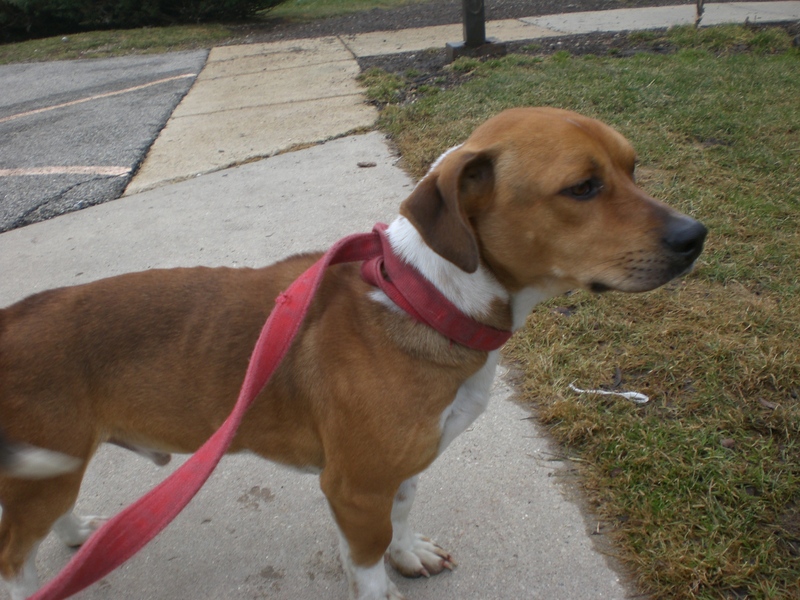 Mister the one-year-old Beagle mix is currently Rita’s kennelmate, and he is also super cute. He’s a bit bigger than the usual Beagle, but still has that lovable Beagle face and the friendly Beagle disposition. 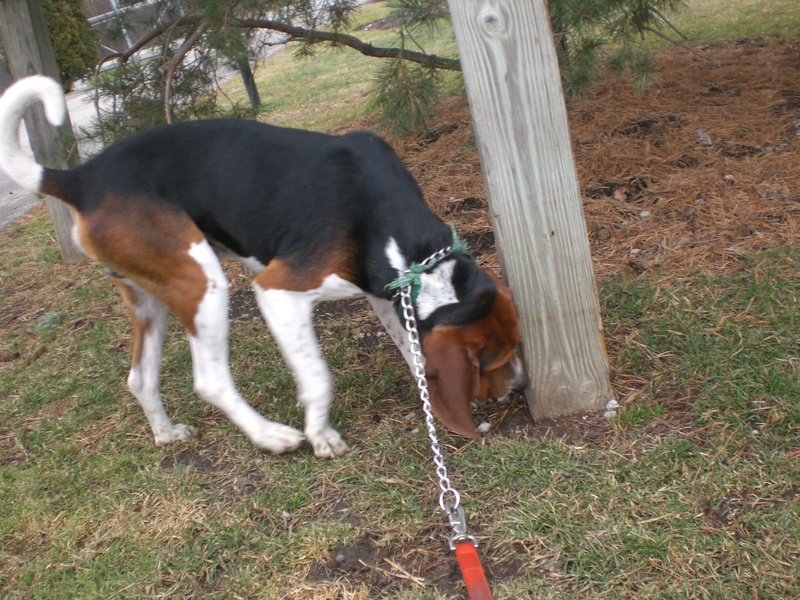 He enjoyed following his nose wherever it took him while we were out on our walk. Mister also enjoyed all of the attention he could get. When I leaned over to pet him, he looked up at me with his tail wagging and thanked me with a doggy kiss. When I knelt down to his level, he ran right over to say hello and get his ears scratched. Don’t miss out on Mister! 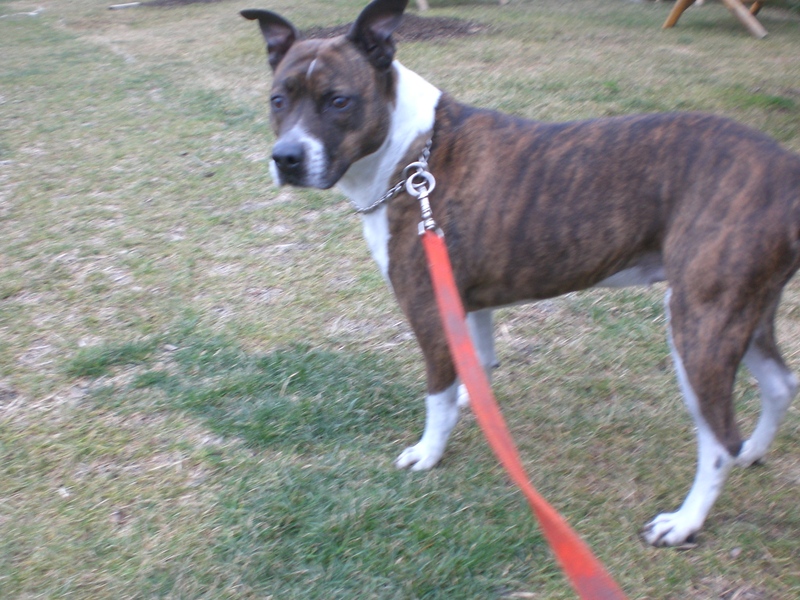 Now for the answer to our trivia question… Shamrock the six-year-old Australian Cattle Dog/American Staffordshire Terrier mix is the very first dog I took out! You can read that first post here. Shamrock is one of the better-behaved dogs when she’s inside her kennel. She doesn’t bark or jump up; she sits quietly and will move right up against the door of her kennel so you can pet her when you stop by and say hello. Shamrock isn’t too fond of other dogs, but loves people and would make a great walking companion–and a great companion in general. 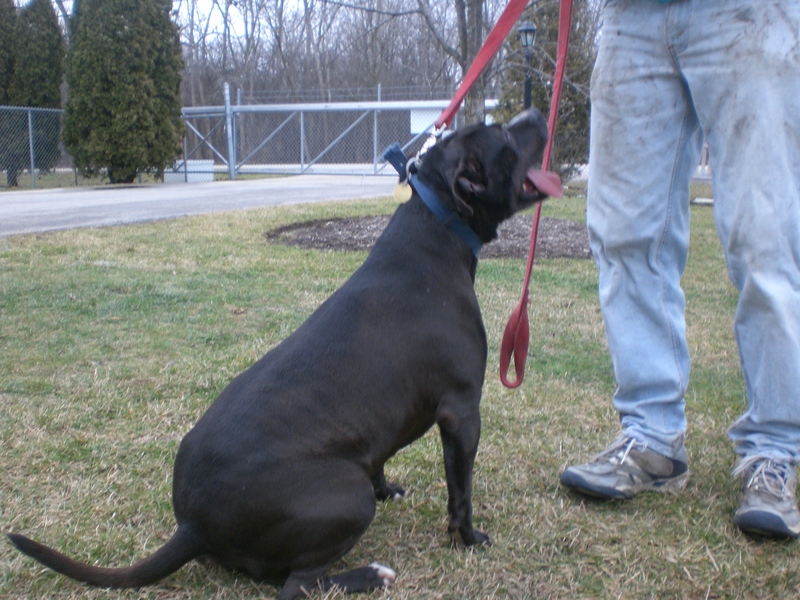 Shamrock has been waiting for her new home since 2006. If you think you’re a one-dog family, please consider Shamrock! Come by Orphans of the Storm® soon to meet your new furry friend! Posted by Meet the Pooches on January 17, 2013 in Dog Profiles and tagged adoption, American Staffordshire Terrier, animal shelter, Australian Cattle Dog, Beagle, Chicago, Doberman Pinscher, dogs, Hound, Orphans of the Storm, Parson Russell Terrier, pets, Pit Bull Terrier.